In Childerley a twelfth-century church rises above the rolling quilt of pastures and grain fields. Volvos and tractors share the winding country roads. Here, in this small village two hours from London, stockbrokers and stock-keepers live side by side in thatched cottages, converted barns, and modern homes. Why do these villagers find country living so compelling? Why, despite our urban lives, do so many of us strive for a home in the country, closer to nature? Michael Bell suggests that we are looking for a natural conscience: an unshakeable source of identity and moral value that is free from social interests—comfort and solace and a grounding of self in a world of conflict and change. During his interviews with over a hundred of Childerley’s 475 residents—both working-class and professional—Bell heard time and again of their desire to be "country people" and of their anxiety over their class identities. Even though they often knowingly participate in class discrimination themselves—and see their neighbors doing the same—most Childerleyans feel a deep moral ambivalence over class. Bell argues they find in class and its conflicts the restraints and workings of social interests and feel that by living "close to nature" they have an alternative: the identity of a "country person," a "villager that the natural consicence gives." 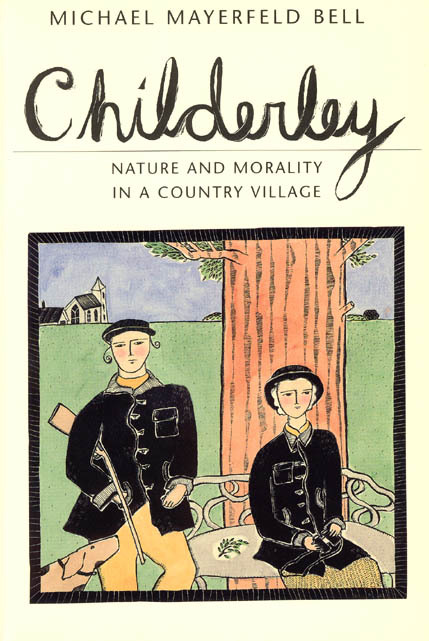 Yet there are clear parallels between the ways in which the villagers conceive of nature and of social life, and Bell traces these parallels across Childerleyans’ perspectives on class, gender, and politics. Where conventional theories would suggest that what the villagers see as nature is a reflection of how they see society, and that the natural conscience must be a product of social interests, Bell argues that ideological processes are more complex. Childerleyans’ understandings of society and of the natural conscience shape each other, says Bell, through a largely intuitive process he calls resonance. For anyone who has ever lived in the countryside or considered doing so, this book is not to be missed. It will also be of particular interest to scholars of British studies and the sociology of knowledge and culture, and to those who work on problems of environment, community, class, and rural life.